As active business people we are presented with a massive pile of reading to do every day. Emails, technical articles, daily news – it can be so overwhelming that many of us skip it altogether. Our email inboxes fill up, magazines sit unread, newspapers become nothing but fodder for the recycle bin. And when do find the time, often we lose concentration and don’t remember or understand what we’ve read. As a result, ever-increasing numbers of individuals and organizations are working at improving their reading skills beyond what we were all taught in 2nd-grade at school – professional reading skills for professional people. The course facilitator will be Dr. Bruce Stewart, owner of ExecuRead and an advanced reading and information management skills coach with a global track-record spanning 37 years. He will give us valuable perspectives on our reading speed, comprehension, concentration and retention issues and guarantees to at least DOUBLE your present reading speed/comprehension level (although the average increase is 5-times). He took a speed reading course and his life changed forever. He started winning every case and his university grades improved dramatically. He was so excited about what speed reading had done, he bought the company three years later, redesigned and enhanced the training courses to make them even more effective, enhanced his knowledge with a Doctorate in Education and made it his life’s mission to improve the reading skills, and the lives, of as many people as he could. Since then he’s trained statesmen, executives, professionals, managers and students, across four continents, to read faster, with better comprehension and retention, and works with organizations like the Pentagon, NASA, the Navy SEALs, the US Marines, the World Bank, Credit Suisse, Microsoft, Coca-Cola, Bank of America and VISA. His training is endorsed by business schools at universities across the USA, some of which have made his training mandatory for its college freshmen. * A strategy for skimming through large volumes of reading material to establish content relevance to reading purpose. * A technique for mastering general reading — reviewing what is already known, familiarization with what is relevant but less critical, and identifying & mastering what is vital to reading purpose and what needs urgent and critical attention. * A game-plan for efficiently mastering high-responsibility reading — the complex and technical material that needs total & accurate comprehension, retention & recall. * A system for improving general knowledge through the rapid and effective processing of newspapers, magazines and general interest fiction and non-fiction. * A mind-mapping strategy for enhanced retention & recall, and planning of reports & presentations. * An advanced study-system and test-taking techniques. * An effective e-mail management system. 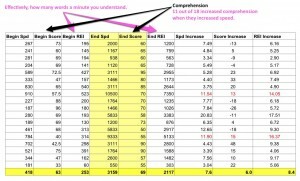 * Techniques for applying speed reading skills to computers and e-readers like i-Pad, Nook & Kindle. * All of this is achieved in less time than ever before, and with better results. 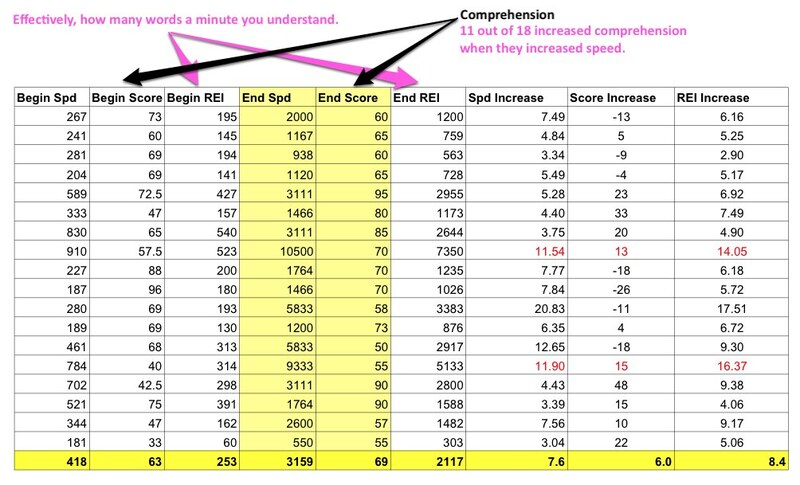 Indeed, the average reading rate increase at the conclusion of the 10-hr ExecuRead Speed Reading & Comprehension Skills Course is 5-fold, with equal or better comprehension and retention.